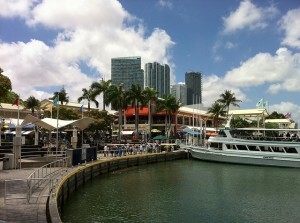 The Bayside Marketplace is perfect if you are a tourist looking for a quick shopping trip in downtown Miami. 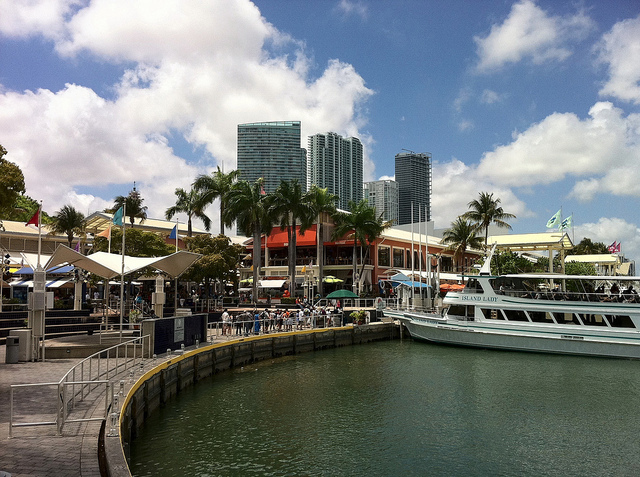 The waterfront location makes it a great place to enjoy a shake or even a delicious brunch. The stores are mainly US brands like Gap and The Foot Locker. 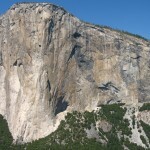 There’s also a Hard Rock Café. On the higher end of shopping here comes this sophisticated mall (if we’re allowed to call this concentration of boutiques a mall, of course). Names like Bvlgari, Gucci or Prada are are a true magnet for Mimi shoppers, this why this shopping center is one of the best known in the country. Except for the prestigious collections and expensive jewelry, the place also displays a unique decorum, with lots of palm trees, fountains and waterfalls. 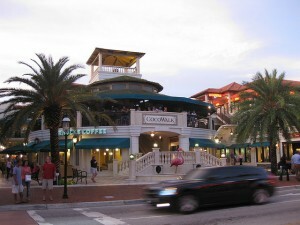 The Cocowalk at Coco Grove has made a reputation as one of Miami’s best open air shopping centers. 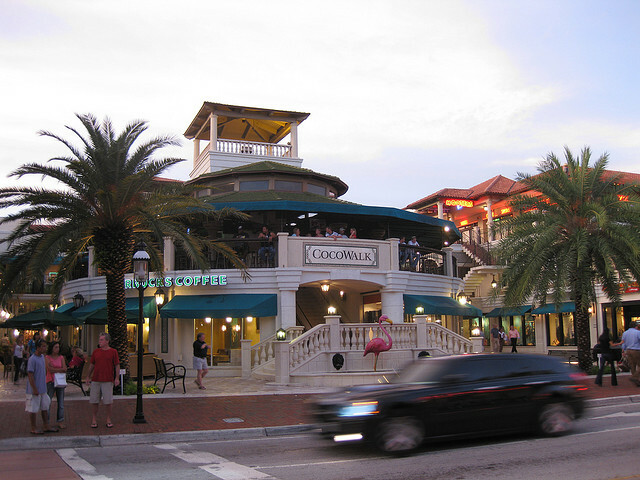 The Cocowalk is not the typical mall however: it’s rather a weekend hangout place, as it hosts over 10 restaurants and cafes and a huge cinema. 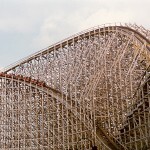 Here you’ll find casual wear, sportswear, as well as lingerie and shoes. We couldn’t have just finished this guide to Miami shopping without mentioning Aventura Mall, a true attention grabber for shopaholics of both genres. 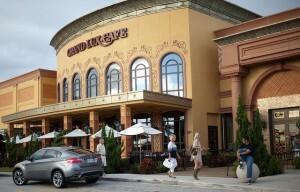 With no less than 250 shops, Aventura Mall alone requires a whole day for its exploration. 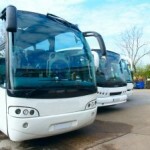 But you certainly won’t be disappointed to discover all the great bargains and clearances, not to mention that the mall is very kids friendly so the whole family can enjoy it.